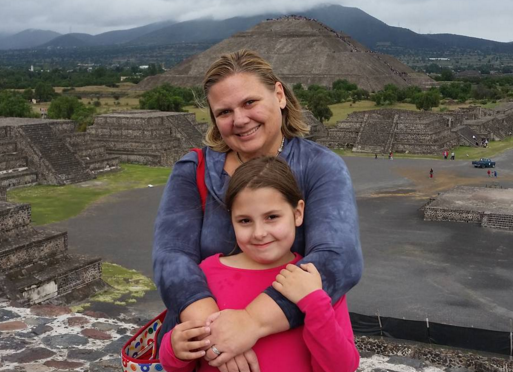 “You took your 8 year old daughter to Mexico City?” I’m hearing the same question over and over again since our recent four day weekend in yes, Mexico City! 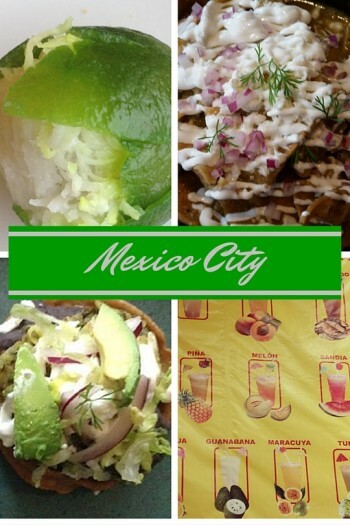 Put away your notions about the largest city in the Western Hemisphere and learn what I discovered: Mexico City is the perfect getaway for a Mother/Daughter connection. My daughter is in third grade and has been in a Spanish Immersion education program. Half her school day since kindergarten has been in Spanish – not Spanish lessons – but math and science being taught in Spanish. I really wanted to take her to a Spanish speaking destination so she (and I, since my Spanish is good but rusty) could engage with people in their native tongue. By doing so she could gain confidence in her language skills. More importantly, I wanted to take her to a destination with some history to help her connect the dots between the words she’s learning and the vibrant culture they represent. 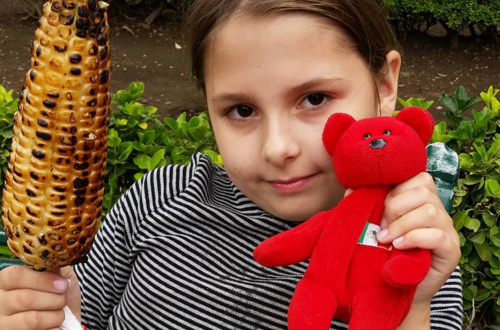 We took her to Antigua, Guatemala when she was four and she still talks about the trip – not so much the churches and historic sites, but ice cream and dancing in the Parque Central. Cultures and history mix in a way that is both educational and accessible. Some landmarks are great from a historical standpoint but let’s face it: they’re booooring to your average 8 year old. The Pyramids of Teotihuacan are anything but! Our tour from Urban Adventures provided a fulfilling climb to the top of the Pyramid of the Sun. The home cooked dinner after the climb featured fulfilling horchata (a local rice drink) and tostadas. I especially liked Urban Adventures because the small group size-ours was six tourists and three guides- made me feel safer as another set of eyes was on my daughter so I could focus on getting up that pyramid! Urban Adventures accepts kids as young as 6 on their tours in Mexico City and even younger in many other cities. We found the Anthropology Museum well organized and clearly laid out in a way that’s easy to understand. The cultural treasures are beyond belief- Aztec, Maya, Toltec, oh my!- but what I found even better were the individual gardens outside each room demonstrating how the statues and artifacts looked in context. The highlight for us actually took place right outside the museum: twice an hour indigenous Totonac dancers “fly” on a pole over 20 meters high while playing handmade instruments and singing. It’s not to be missed. The Mexico City vibe is both safe and friendly. My daughter was SO ready to practice her Spanish and she had plenty of willing test subjects! From car drivers to shopkeepers to kids in the park she conversed confidently (if not fluently) in her eight year old version of Spanish. Everyone was enthralled with her efforts, even if they didn’t understand the results! I got by with my rusty Spanish as well, with lots of help from the locals since at least half spoke English. Of course, Mexico is still a developing country and you’ll see quickly you’re not in Kansas anymore. However, I found security concerns to be overblown as long as you stay in tourist areas- for one thing tourist police are everywhere! I felt no less safe in Mexico City than I have in Manhattan or any other huge city. The entire city is a foodie paradise. From the high cuisine of Dulce Patria in Polanco to the oil drum-grilled sweet corn on the street we didn’t eat a bite we didn’t want more of. We grazed on an ear of corn and some mini bananas before lunch- tostadas for two at the Coyocan market. Our only challenge was deciding what kind of fruit smoothie to have- so we just ordered a bunch of them! My daughter was a fan of the strawberry (fresa) while I preferred the hibiscus flower (jamaica). Dessert was coffee and stuffed churros at a bench at the main square. We snacked and enjoyed a front row seat at the most vibrant show in town- ordinary citizens going about their business. Mexico City has one of the best preserved collections of Art Nouveau and Art Deco architecture on Earth. If you’re a fan of buildings that look like geometric wedding cakes with fancy frills on top, look no further! The entire neighborhood of Condesa is an Art Deco scavenger hunt. 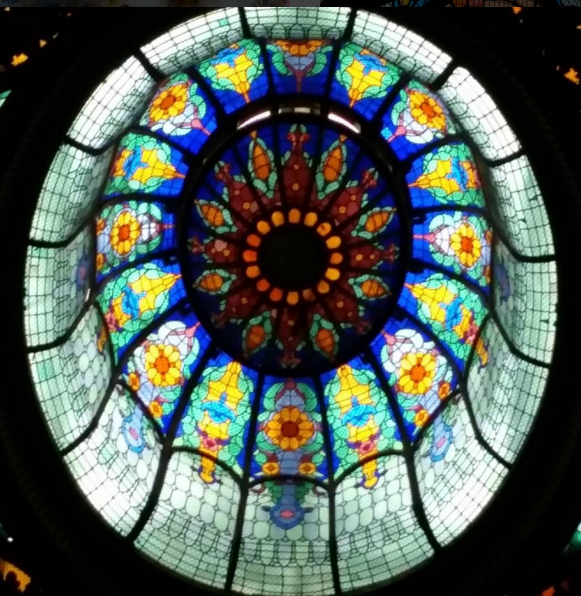 A peek at the roof of the Gran Nacional Hotel will send you to Tiffany Glass Heaven- it covers the entire ceiling! My daughter and I spent over an hour playing “I Spy” with the windows at the Gran Nacional. The History of Mexico is told through chocolate. Yes, the anthropology museum is world class, but did you know that in ancient times chocolate was used both as currency and in sacred rituals? Learn all about it at the Mucho Mundo Chocolate museum! Even better, register for one of the reasonably priced weekend classes with your kids and make chocolate the traditional way on a “matate” or grinding stone. Classes are in Spanish, but the staff does speak some English so your high school Spanish should be plenty to get by. And yes, there’s a cafe and gift shop with homemade chocolate- and you can get adventurous with chocolate covered bugs if you like. Mexico City is a terrific value. The US Dollar is strong now in Mexico and with Southwest Airlines’ new nonstop from Houston Hobby airfares have become more competitive. I saw roundtrips under $300 from many cities in the USA. Our hotel, Las Alcobas, ranks among the World’s Best and would cost much more in Europe or the USA. High end restaurant meals cost us less than $15/person and most snacks were less than two dollars. Travel with Your Girl. Not Just for Her. For You. I didn’t realize how badly we needed time alone together until we had it. 8 is a mercurial age- one day she’s giggling with her BFF over her latest crush, the next she’s cuddling with me and her stuffed Panda. With a 12 year old brother and her Dad always around (and the constant shuffle of carpool, baseball, tae kwon do…) we definitely don’t get much “girl” time these days. I sensed she missed me but didn’t realize that I missed her too! After the trip not only do she and I have a shared experience the boys don’t have, we have a stronger bond than before we left. 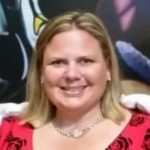 Disclosure: Southwest Airlines invited my daughter and I to visit Mexico City and Las Alcobas Hotel and Urban Adventures provided their services for review. Opinions, as always on Traveling Mom, are my own. Next Post: All Aboard for the Durango Christmas Tree Train! Heading to Mexico City next week—so happy to read your story first.